Edward R. Matthews, CEO of ADAPT Community Network, announced today that the 18th Annual ADAPT Community Network Golf Tournament will be held at Brae Burn Country Club & the Golf Club of Purchase in Purchase, New York, on Monday, May 13th, 2019. This annual tournament attracts over 250 golfers for a day of golf and entertainment in support of ADAPT Community Network. All proceeds from the event fund the delivery of life-affirming programs and services to children and adults with disabilities and their families. The golf tournament will be hosted by Scott Stanford, Host, WWE, Seven-Time Emmy Award Winning Sports/News Anchor. 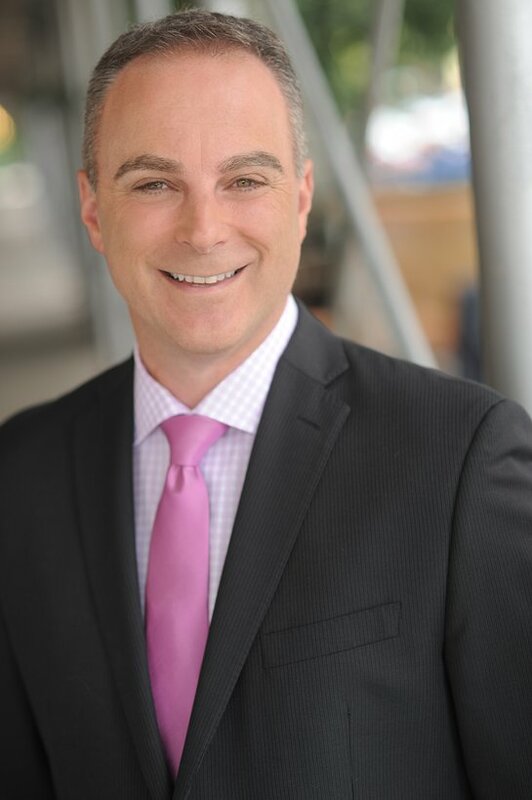 For the fourth consecutive year, the ADAPT Community Network Corporate Champion Award will be presented at the event to one of ADAPT’s generous supporters, Alan Zack, President of Alliance Brokerage Corp. This award recognizes individuals who demonstrate the power to inspire and lead as role models for people with and without disabilities. Jeffrey S. Weiss, President, The Weiss Group, who was honored with the ADAPT Community Network Corporate Champion Award last year, will Chair the event. “Jeff Weiss is an invaluable help to our organization. He and his firm have stewarded the pension investments for thousands of our staff to insure their long-term stability,” says Matthews. The 18th Annual ADAPT Community Network Golf Tournament is presented by the Carmel family. Scott Stanford is a seven-time Emmy award-winning sports/news anchor and the host of This Week in WWE on the WWE Network. Scott recently finished up a five-year run at PIX 11 where he was not only the lead sports anchor but also a co-host on the PIX 11 morning show. Scott can also be seen delivering sports news for CBS Sports HQ. Before joining PIX 11, he served as a sports anchor for WNBC, a fill-in host for The Crossover on NBCSN and the news anchor on WNBC’s COZI TV (formerly New York Nonstop). Stanford has also worked in the New York market at WNYW Fox 5 and WWOR My9. Prior to joining My9, Stanford was the full-time afternoon sports anchor on WCBS Newsradio 880, where he was twice awarded the “AIR Award,” recognizing him as the best radio sports anchor in New York City. He began his broadcast career at WFAS in Westchester County and WRKL in Rockland County. Stanford has also been a play-by-play announcer for college basketball and arena football. He has been heard as an announcer and voice-over artist for many national television programs including The Macy’s Thanksgiving Day Parade and the GQ Men of the Year Awards. Stanford received a degree in Broadcasting and Communications from the State University of New York at Oswego. He lives in northern New Jersey with his wife and daughters. A special thanks to the Carmel Family and our ADAPT Community Network Sponsors: PILOT RB, Alliance Brokerage Corp., Colliers International, Bella Bus Company, Edward R. Matthews, Home Clean Home, PC Connection, Precision LTC Pharmacy, Putney, Twombly, Hall & Hirson LLP, Signature Construction Group, TGI Office Automation, Weeks Lerman Group, The Weiss Group, Brothers Construction, The Execu|Search Group, GNET Construction Corp., MediSked, Stop Pest of NYC, United Health Care, and WPIX. spina bifida, and neuromuscular disorders, among others. They are the largest provider of pre‐school education for children with disabilities in New York. ADAPT’s 100 comprehensive programs serve over 18,000 children and adults with disabilities and their families. For questions or sponsorship information, please contact Louisa Laverde at 212-683-6700 X1201 or: llaverde@adaptcommunitynetwork.org.